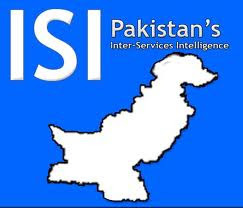 ISI (Pakistan) hack email account of Indian Army Major ! The news of the hacking was given to Indian probe agencies by the FBI, which was then interrogating Mumbai attack accused David Coleman Headley. The US agency told the CBI Ali had been accessing an Indian Army officer's rediffmail account from the ISI headquarters. The hacked account was traced to Major Shantanu De of 21 Bihar Regiment, who was at that time posted in the Andamans. De's computer was seized and scrutinised jointly by the Intelligence Bureau, National Investigation Agency and the Military Intelligence. What was baffling was that his computer and e-mail had more than 4,000 sensitive documents - some of them marked 'secret' and 'top secret'-which he was not supposed to be in possession of, leading to suspicions of espionage on part of Major De. While the joint investigation cleared De, it came to light how an innocuous posting of his own photograph in uniform in the social networking site Orkut with his various details made him the ISI's target. He had collected the documents out of interest and also to prepare for his departmental exams that were slated for September 2010. De has since been demoted after being held guilty of violating the Army's Standard Operating Procedures on cyber security. Another of Ali's colleague in the ISI, Major Iqbal, who also figures in India's "most wanted" list, was Headley's handler for the ISI. On April 26, a US court had also chargesheeted Major Iqbal for conspiracy in the 2008 Mumbai terror strike. Iqbal's role has also been confirmed by Headley during his confessions.